Abu Dhabi-based carrier Etihad has announced details of its home-airport ‘Meet & Greet’ service, available to passengers travelling in any cabin class on board its services. Two levels of assistance are offered, with both providing gate or bus rendez-vous with Etihad staff who will guide passengers through the arrivals process, including fast-track immigration and baggage assistance. The Gold Package offers a one-to-one service and complimentary porterage to transport baggage at the airport. The Silver Package provides one staff member for 1-5 guests. Both packages include fast-track immigration and baggage collection. Airline services are most usually tied-in to Business or First Class on-board travel. There are also a number of agents offering personalised service across a range of airports. Although limited to Abu Dhabi Airport, the Etihad Meet & Greet service is potentially most notable for its rates. The Gold Package is priced at AED240/USD65; the Silver Package is AED140/USD38. 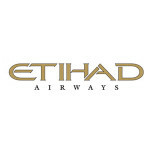 For more details and to book, visit etihad.com/meetandgreet. After the wind-from-sails-removing in-flight experience, all hopes were pinned on the arrival arrangements in Singapore being altogether more impressive. And so they turned out to be. A wheelchair was waiting at the 777’s door, with a pusher whose job it was to shove GCC no further than the other end of the jetty. Here, two drivers with attendant buggies stood to attention, ready to whisk us off to Changi’s on-airport CIP (Commercially Important People) Terminal – JetQuay. It was a race between these two Ayrton Sennas of Arrivals through Terminals Three and Two, parting a Moses-like path through the sea of early-morning travellers, who’d hitherto been enjoying a leisurely browse of the duty free emporia. With a remarkable lack of self-awareness or embarrassment, we just about managed to avoid smiling and waving at the blurred hordes and we finally rolled up at the entrance to JetQuay. So far: so fun. A wheelchair was already waiting there and we descended into the Jet Quay lobby, calmed by waterfalls and fountains and decorated with abundant orchids. Immigration formalities are completed in a private room with no queue, and then passengers are escorted into the lounge area to partake of drinks and/or food as desired. The facility is used by both arriving and departing passengers and there are numerous seating and meeting areas, televisions, PCs, WiFi, showers and a buffet area. Arriving passengers have their luggage receipts taken by a member of staff for a porter to retrieve any cases, and deposit them unseen in any onward transport which has been arranged. Only when the luggage is safely stowed in the car outside are the passengers then invited to leave their calm surroundings and head to the hotel-style porte-cochere for their swift and discreet departure. Along a private drive and through unadorned gates, and we’re out into a Singapore morning in some style.